A census is a population count for a given area or place on a specific date. It is compiled to gather accurate information allowing planning of public services, for example schools, hospitals, roads. In the UK the census is taken every ten years. 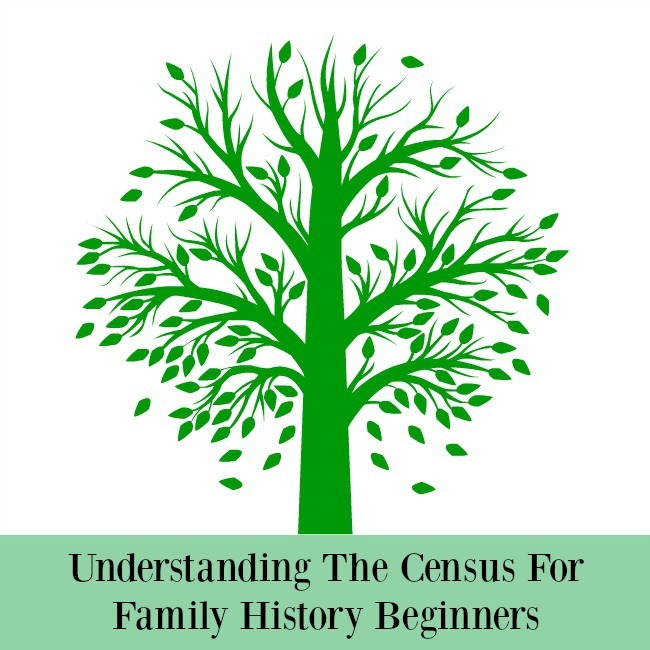 In the UK the first census of any value to family historians is the census of 1841. Prior to this the census was just a head count. In 1841 names and ages were collected. It did not record the relationship of those living at the address or their specific place of birth. The census that you see on-line (or anywhere else) is not an original document. The householders completed their paperwork and enumerators copied this into enumeration books. The 1911 census is the first census where we can see the original schedules. We can actually read what our ancestors wrote. Most of the on-line genealogy sites have the census' transcribed but unfortunately these do cost to access. Only the 1881 census is free for all to view. Freecen is in the process of transcribing the census from 1841 - 1891. What they have is free to view but far from complete. Many libraries in England and Wales give access to Ancestry.co.uk or findmypast.com allowing you to search the census without a subscription. What information is on them? These are compiled of a Class Number/Piece Number/Folio Number/Page Number. Class Number is The National Archives (TNA) reference number and denotes the year. TNA was the Public Record Office and the class number can be found with the Piece number at the bottom of every image on-line. Piece Number - Enumeration books are bound together into a volume for archiving. This is known as a census piece. Each volume is given an unique piece number. Folio Number - The enumeration books are pre-printed so when bound together into a volume the page numbers reoccur. Each page is stamped at the top right corner with the Folio number. Page Number - This is pre-printed and identifies the page within a book. With the folio number stamped on each page it is not needed to identify the page within a piece. The 1841 census was the first to record individuals by name and age. They didn't ask for exact ages though and the ages of people over 15 years old were rounded down to the nearest 5 years. For example, someone who was 22 years old would have their age listed as 20, and someone who was 28 years old would have their age listed as 25. They lied. I have found that many of my ancestors claimed to be much younger than they were. This is more evident when their spouse is much younger. Transcriptions are quite often very wrong. Either the transcriber has made a mistake or they have written exactly what they could see. When we look at the original and know the family it's obvious that it says John Smith but to the transcriber it may look like Yohn Snith. They only transcribe what they can see. There could be errors recorded at the time or by subsequent transcribers. If you cannot find your family try using less information to search or use wildcards. Use less information. Try searching by leaving out one fact. Their first name, surname, age, Town of Birth, Place of birth or a combination of these. Try looking for a previous neighbour, maybe they are still neighbours and the transcriptions are just wrong. Wildcards. Use a * to replace many letters so instead of looking for Johnson, Johnston, Johnstone use John*. Use a ? to replace just one letter so instead of Smith, try Sm?th. Think phonetically. How else could that name be spelt? If your family is from another parish maybe their accents make their name sound different. Harrys, Harris, Harries, Harice all sound similar so write down all the different ways that the name could be written and search for them all. Maybe on that night the person you are looking for was in another part of the country, with relatives, at sea, in prison. Many institutions just recorded people by their initials. If staying with friends or relatives maybe they didn't think to add them to the schedule. Expand your search geographically too. They were mostly illiterate so had to rely on someone else to complete it on their behalf. Some felt it was an intrusion and so did not complete it. Each on-line site has a different way of searching and accessing the information. What may not be found on one site may be found on another. Wives may have same name but not be the same people. Since we have no idea who provided the information, it is not possible to confirm it's accuracy. If everything is correct but the place of birth is wrong this could still be your family. They didn't always write the schedules themselves and if they came from outside the parish the enumerator may not know the place names and write what they thought was correct. They may think they were born where they grew up and record that as their place of birth. County borders have changed so what once was in one county may now be in another. The census' were taken with the understanding that they would stay confidential for 100 years. The next census to be released is the 1921 census and is due to be released in 2022. The census of 1931 was destroyed during an air raid on London and due to WWII a census was not taken in 1941. This would leave a huge gap but in 1939 a register was taken of every civilian in Great Britain and Northern Ireland. This has been released with some closed records. Those born less than 100 years ago, unless proof of death is verified, are blacked out. The register was used to issue identity cards, administer conscription, organise rationing and used in the founding of the NHS. Unlike a census, a snapshot of a place on one day, this was an evolving document with details updated. For example women's married names are written above their names with their maiden name crossed through. At the moment this is only available through Findmypast.co.uk. So we have the census to take us back to 1841 with civil registrations back to 1837. How do you trace your family back further? Next week is all about parish records.